Hairfinity comes to the Rescue!! Giveaway time!! 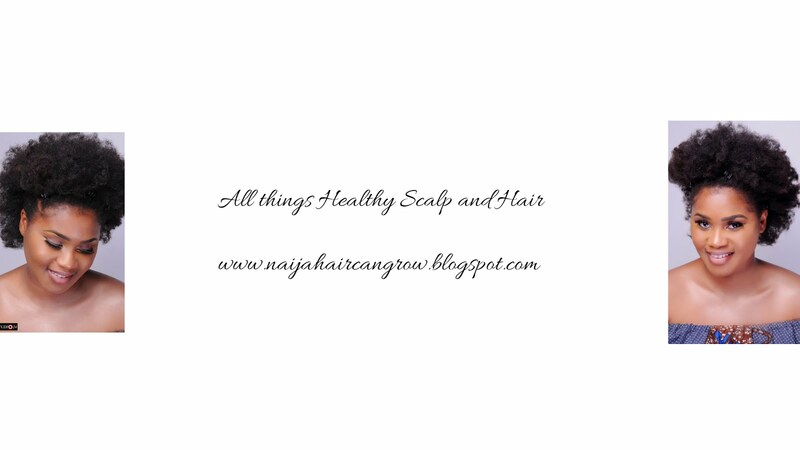 | NAIJA HAIR CAN GROW NAIJA HAIR CAN GROW: Hairfinity comes to the Rescue!! Giveaway time!! Hairfinity comes to the Rescue!! Giveaway time!! How's everyone doing!! The year is almost over can you believe it?!! The 6 inches of Growth challenge is still on people and I'm expecting to be WOWED by the results....if you have been struggling with length retention, then this giveaway might be just what you need!! Apologies to my followers on Instagram, I said I'll put this post up yesterday but I got back home quite late and was completely exhausted. Basically, I met with the owner/ creator of Hairfinity vitamins. Which I reviewed and discussed at length HERE and she was the most pleasant, accommodating person ever, I was most impressed by how much she knew her brand and how involved she is in the day to day dealings of her company from replying messages on social media to overseeing them as they dispatch about 3000 bottles a day!!! Did you just read 3000? Yup, I bet you are as stunned as I was...let me stun you further, Mrs. Tymeka Lawrence(the owner) is just in her 30's!!! Yup your read right!! Anyways enough about my encounter with her, now it's time to pay it forward....she gave me a year's supply of the hair vitamins plus other goodies like their infinite lash serum for longer eyelashes, blinged out paddle hair brush, their skin care vitamins called Demera, a scalp massager and a length check T shirt. I'll be keeping everything else in the bag except half of the hair vitamin bottles, that's 6 months supply which I will give to 3 lucky readers ( 2 months supply each). You must be available to pick it up if chosen as a winner. It will be at The Savvy Chic Hair Beauty Hub in Ikoyi, Lagos. If you can't pick it up, you will be responsible for having it sent to you wherever you are, we can assist with linking you with a courier if you are out of state. You will need to comment below stating why you think you should be picked as one of the lucky three to receive a two months supply of Hairfinity. Finally upon commenting, you MUST send in a starting picture which must be a current picture of your hair, the picture should be sent to my email- Daboju@yahoo.com with your comment no. So say you commented first, you will send an email of your starting pic and state in the body that you are comment no. 1. 3 Lucky ladies who send in starting pictures as well as comment below will be chosen randomly using random.org. Entries closes at midnight on Friday the 16th, winners will subsequently be announced on the blog by posting their starting pictures, then after their two months supply is exhausted, they MUST send in their AFTER pictures with hopefully great progress. Ok i'd like to be a lucky winner because of 3 things firstly,am in the awkward stage in my natural hair journey so i'd be needing a lil boost secondly,am having very terrible scalp issues,which was why i chopped off my hair,I'd like to see if this vitamins would help(you-tubers say its a miracle peel) and thirdly..come on,am an avid reader/follower of this blog and i never get to win anything. So yeah those are my reasons.I hope my reasons are plausible enough to make me a worthy winner.. I have been an ardent reader of your blog since I discovered it last year and a faithful follower/liker on IG. I have craved for this hair vitamins for over a year now but I haven't been able to afford it. I started transitioning last September and I have been able to retain 3 inches of growth. This will be a dream come true for me if I win. I have been awaiting this opportunity since you stated it on IG yesterday. Well done. Frankly, my hair needs help - i have Alopecia in the middle of my head and i am doing and equally trying every product. I was about to purchase some products before you indicated a giveway. I am looking forward to winning these packs of vitamins - even if it is one; to try out hoping it will help my hair grow better and make my alopecia disappear. Hi Dabs I would love to win this 2 months supply of hairfinity vitamins because I love hair and all things hair related, I wan't to grow out some short patches of hair caused by breakage at the demarcation line during stretching and I would also love to be part of finally put an end to comments such as " Black girls don't grow long hair", "she must be mixed", "you just have good hair", "relaxed hair doesn't grow". I have always been a firm believer in African hair and flaunt mine whenever I can. Years of wearing weaves have chopped my edges; I believe Hairfinity can grow them back and ultimately increase the health of my hair in general. I want to show people that truly Naija hair can grow! 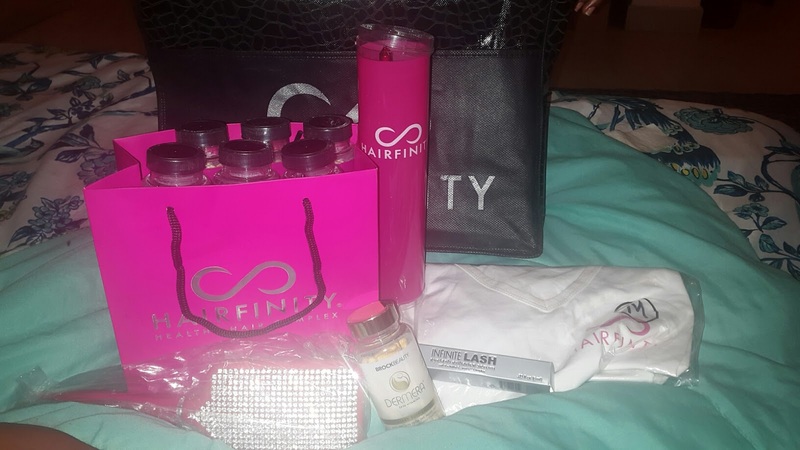 I ve Hrd so much about hairfinity and really wanted to buy It but couldn't afford it. I need it so I can take care of scalp issues, breakage and length retention which am currently dealing wit. Thanks. My hair issues are BAD.my edges are gone and my hair is thinning,breaking and much more.i am just deciding to go natural cos I dont know how else to help my hair again.so hairfinity would be the perfect vitamins to start my natural hair journey.i need to win badly plssssssss. Hi there, I started my hair journey at the end of December 2014. It all started with a bad hair experience at a hair salon in 2013 as the hair stylist did not know how to work with my type of hair correctly. This resulted in most of my hair falling out and left me with patches. I was very self conscious about my hair. I never really knew how to care for my hair until I started doing research. I am now, EXTREMELY determined to grow my hair to mid back length. My current hair length will be attached in the e-mail. ( just below shoulder length) and I am very proud of the progress I've made. I have always wanted to try hair vitamins and it will definitely give me a push start to my hair goal! Giveaway! !I would love to try this vitamins and as it is quite expensive to maintain taking them,it is without saying that it would help improve my hair growth and as a participant in the NHCG 6 inches of growth,it would be a great addition.Thanks for doing a giveaway Dabs. Hello, I sincerely haven't had a blissful hair journey cos I keep going back and forth. In 2014 I started a healthy hair journey, got products I believe would do the trick. Now here's the problem, in my teens I had a fantastic hair, no body but good length and beautiful hands to work the magic of different hairstyles on my relaxed hair. In no time, I got a downside, I started breaking out and had a crazy fall out on my edges. By 2015 January I was a year post relaxer transitioning and hoping my edges would grow back cos I wore a wig all year thru but it didn't. By March I relaxed my hair and it did grow in length but my edges were still fugly and ugly.. I decided to do a healthy hair journey and not a natural hair journey. I got castor oil and all the oils I could lay my hands on.. By September, my hair did grow, edges I mean and I got happy. My second fall out was installing Havana twists which snapped my edges off again. it's October and am back to square one. I would like to have the free bottles of hairfinity, in order tobstart another healthy hair regime and grow back my edges lost and give my hair a boost. Bumped into the giveaway post I decided, 'Let me give this a try! ' I have heard so much about the vitamins but haven't tried it yet. In summary, my main reason for wanting this is to boost my hair growth... I hope to win this. Best of luck to everyone else participating. Congrats to the three winners in advance. Hi Dabs! i would love to get my hands on Hairfinity vitamins because I have had so many good reviews about them. I started on my healthy hair journey about 3 months ago after experiencing severe post partum shedding.My hairline is damaged at the moment and I am currently at neck length and transitioning from relaxed hair to texlaxing as i have very thin hair and i think texlaxing will just give me an extra boost in terms of thickness.I believe hairfinity vitamins will just help me in reaching my goal of a full head of healthy hair...I am keeping my fingers crossed. Hi Dabs, i would Love to win beacause i really do want to know what it feels like to have a HEALTHIER, LONGER and STRONGER hair, havent had that feeling atall. This is a very wonderful giveaway. I've actually never used any hair vitamin supplements . Maybe I should read up about hairfinity. @juditherese mirrored my thoughts on this. Nice of you to be giving out some of yours. Hi Dabs, I am commenter no 1. Maybe hairfinity products can change my story and hair history. Hello dabs, I need to win this because I am kind of beginning to get frustrated with my hair journey. Every time I look at my hair I begin to weep and I'm like Is this my hair(cos it was never like this)? and I'll be like if only I could get my hands on hairfinity because I have heard so much about it and there is nothing I haven't done to get a full and healthy hair. When I saw this post I literally cried, for the Joy was too much for me to contain. Pls let me not bore you with long stories but i just need to be part of the winners of this wonderful hair product. Thanks and God bless!! I reaaaaalllyyy need to win this because I've been stuck in a rut for a long time now. My hair just refuses to grow, so I know I definitely need the extra pick me up. There's nothing I don't do to my hair. I have both a full size steamer and hooded dryer. I've tried every deep conditioner. I have tried the LCO, the LOC, the LOCB, and LCOB methods. I just feel like my hair has been in a permanent state of stagnancy. It's been relatively the same length for some years. I know some might say I'm just not retaining length, but I'm not sure that's the case because I just ended a 12 month stretch and only had about an inch of new growth. I don't know if I've just reached a plateau in my hair growth or if I just need a boost. My edges and nape are a different ball game, they seem to be seeking emancipation because they just won't cooperate. I give them extra tlc even to the point of going overboard, but they just refuse to improve. The difference in length is appalling. I'm on the verge of chopping it all off and starting from scratch (after 5 years of being on my hair journey. Winning this giveaway will be my final push at trying to remedy the situation vs big chopping.